Whether you notice the mails piling up, spoiled food, unexplained bruising, or a disheveled appearance, it’s important for you to be aware of the signs that your aging parent needs help at home. Seniors often find it difficult to admit that they need help or they may even be unaware that they need it. This is why it’s important for you to take note of any small problems or signs that can happen. Does your mother’s hair look unkempt and greasy? Is your father no longer shaving? Are they having noticeable trouble dressing, grooming, or bathing themselves? If you notice that your parent is no longer taking the same care in their appearance and personal hygiene as they used to, it may be a sign that they need some help. This is where our caregivers can help. They can provide personal care services in Southeast Michigan to ensure that your loved one’s hygiene is maintained. If you notice broken appliances, expired/spoiled foods in the fridge, unkempt yard, unwashed dishes, or a generally messy home environment, it could be a sign that your aging parent is having trouble with household chores and other daily living tasks. Our caregivers can offer assistance with a broad range of homemaking chores. Has your parent gained or lost weight? Weight changes can be a sign that they’re no longer cooking and eating properly, or it could be a result of eating fast foods rather than well-balanced meals. Sudden weight changes may also be a sign of an underlying health condition. Weight change is a definite indication that your aging parent could benefit from having in-home assistance. Our caregivers can offer assistance with meal preparation and feeding assistance. Take note of the medications that your parent is taking, when they should take it, and how many are they taking. If you notice extra medications when they should already be refilled, it may be a sign that your parent is forgetting to take their medications. Medication adherence is very important, so it is helpful to have someone there who can provide them with timely medication reminders. If you notice any unexplained injuries, such as bruises or cuts, this may indicate that your parent is experiencing falls. Falls can cause serious injuries and even disabilities among older adults. Having in-home assistance can definitely reduce your loved one’s fall risk. 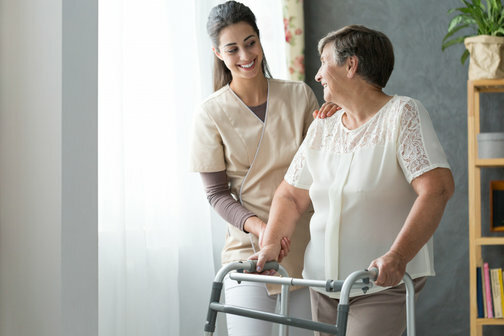 For in home care assistance in Southeast Michigan, don’t hesitate to reach out to our team for assistance. This entry was posted in Home Care Assistance and tagged Elderly Companionship, Healthcare, Personal Care Services. Bookmark the permalink.